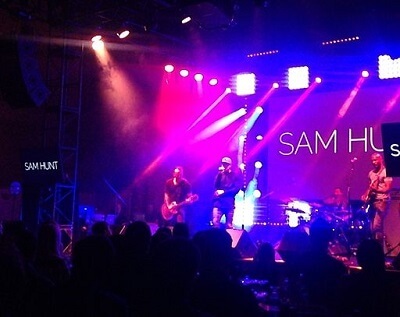 Get notified when Sam Hunt tickets are available! Sam Hunt is an American singer and songwriter who left behind college football to become a country pop singer. Born in 1984 in Georgia, Sam Hunt began performing in 2009 and signed a recording contract with MCA Nashville back in 2014. He holds the distinction to be one of only a handful of country music recording artists to ever hold the number one spot on all three country music rankings at once, making the achievement with his song “Leave the Light On.” Sam Hunt frequently tours the U.S., and you can purchase Sam Hunt tickets for an upcoming concert with the links above.